Leather jacket is one of the graceful winter clothing for women. Every woman wants to add a piece of classy leather jacket in her winter closet. The top brands of leather jackets are manufacturing the stylish and warm leather jackets for women, which keep you warm while adding an extra dose of class. 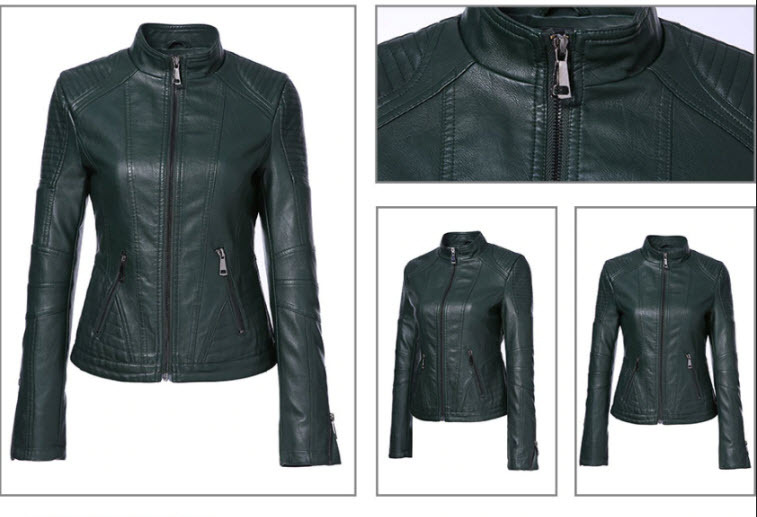 You can find here the 10-bestselling women’s leather jacket in Pakistan. 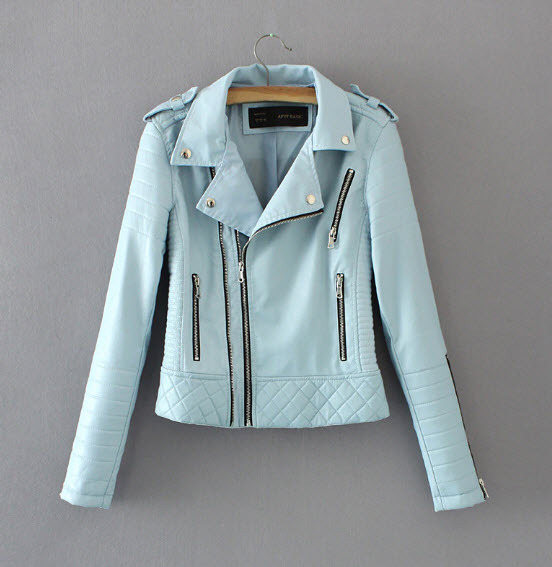 The classy leather jacket for women is made with high quality PU faux leather. It is shiny in appearance but cool in style. It has the classy mandarin collar and front zipper closure. The sleeves have zipper design and it comes in slim fit design. You can buy it in various colors, via women leather jackets online shopping in Pakistan. The turn down English collar with double collar look gives it unique and stylish look. It is made of import quality faux leather, which is non-matt in appearance. The slim fit design allows it give you slim and classy look. The unique lower hem style is an additional feature that makes it bestselling among all. Anyone can buy it at reasonable price through shopping women leather jackets online in Pakistan. MCCKLE women’s leather jacket is featuring classy turn down collar, front zip closure, zipper design, zipper pockets, zipper design long sleeves and slim fit design. It is available in two colors, wine red and black. The faux leather is of imported quality so it seems too original in appearance. It would be perfect gift for woman in this winter season 2018. The street-wear style leather jacket for women in Pakistan is perfect for casual stylish look. The side pockets, zips decorations, and pleats patterns on sleeves and shoulder are making it classiest and stylish casual leather jacket. It is available in regular fitting style. You can find and buy it from women leather jackets online shopping in Pakistan. 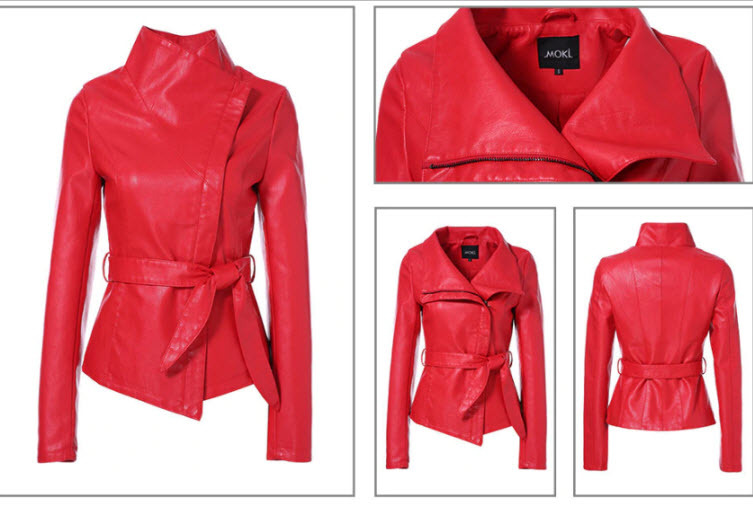 The stylish leather jacket for women is featuring different patterns of pleats on shoulder, hem, sleeves, and back. The pockets and zips decoration makes it classy for street wear casual look. It can the turn down collar classic design of jackets. Get it in perfect size for you at affordable via leather jackets shopping in Pakistan. Ladies faux leather jacket has the double collar, a hooded collar and a mandarin collar. It is the perfect pick for the extreme cold weather. It has four zipper pockets and pleats designs. The slim fit design and long sleeves make you look smart and classy. Find it now from the collection imported leather jackets for women in Pakistan and buy it at affordable price. Fitaylor has manufactured the warmest and trendy leather jacket, which is lined with lamb’s wool. It keeps the body warm while making you look stylish in extreme cold weather. The belt on collar will protect your neck from frosting wind while adjustable belt on waist will adjust the fitting. The woolen turn down collar and side pockets are useful and decorative feature of this leather jacket. The stylish look of winter leather jacket for women makes you look chic and modish even in cold weather. It has buttons closure cuffs and lower jacket hem. Three zipper pockets are enhancing the grace of this glossy faux leather jacket for women in Pakistan. You can buy it at reasonable price from leather jackets online shopping in Pakistan. 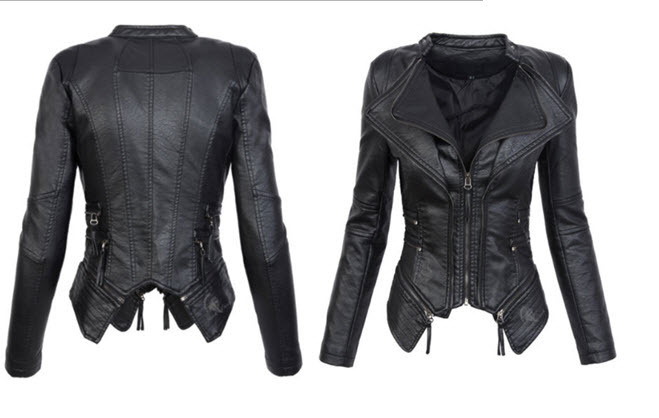 Aorryvla has manufactured the biker jacket style fake leather jacket for women. It is featuring mandarin collar, pleats designs, zipper sleeves design, pockets, and non-matt leather texture. It is great for casual wear in autumn and winter. You can get it in gorgeous black color via imported leather jackets shopping in Pakistan. If you are searching different style women’s leather jacket in Pakistan then you should try this large turn down collar jacket. The unique feature is the adjustable belt on waist. The zipper closure allows you to transform the turn down collar into high neck collar. It seems classy and sophisticated simultaneously. Order now and buy it from shopping women’s leather jackets online in Pakistan. Whether you are searching faux leather jacket or original leather jacket for women, you will find and buy them through smooth procedure of leather jackets online shopping in Pakistan. 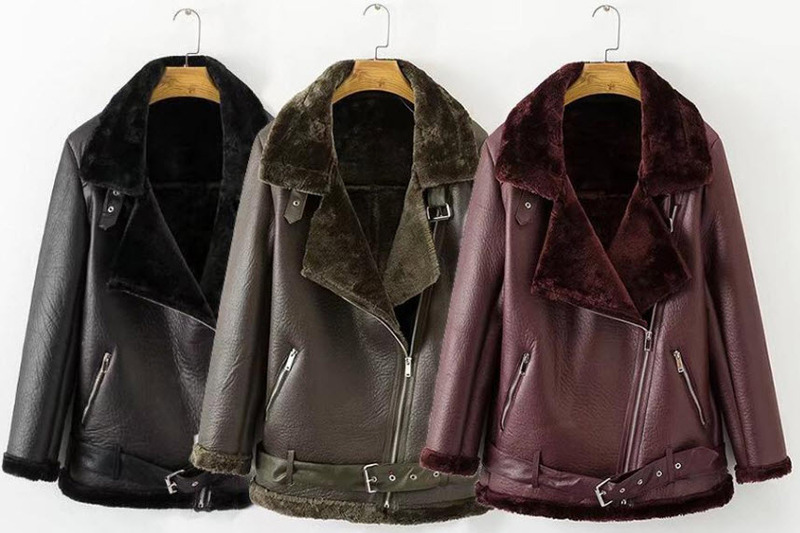 You can explore more styles and brands of women jackets for winter from the hottest women winter clothing and buy them at extremely reasonable price. Choose the best one and hit order now. You will get the ordered product at your home door within given delivery time.